The average price for this game in the past 6 months is $45.07. 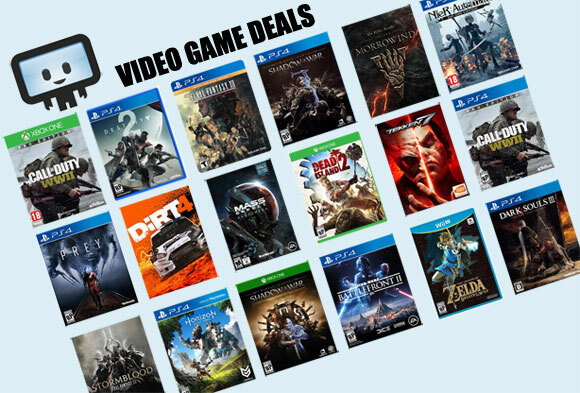 Lowest historic price was $37.09 on Dec 26, 2018 at DLGamer. Monster Hunter World Deluxe dropping from $69.99 to $37.09 at DLGamer. Besides the base Monster Hunter World game, you'll get a Samurai Set skin, three gestures, two sticker sets, and an additional face paint and hair style option. Monster Hunter World has now popped up on GMG with the PC version having a release date of August 9. Pre-order now and you'll get a 22% off for the deluxe edition which includes the base game and the Deluxe Kit DLC. Conversely, the Standard Edition is 18% off at GMG (other retailers have it for 20% off). The average price for this game in the past 6 months is $36.16. Lowest historic price was $31.01 on Dec 18, 2018 at Green Man Gaming. This weekend only, Fanatical has Monster Hunter World on sale for 43% off. While the game has been slightly cheaper before during Winter Sale - this is still a solid deal for one of the most popular title in 2018. Monster Hunter World on the PC finally hits a more reasonable price tag with the game now at almost 50% off. One of the most popular title in 2018 on the PC, you can now pick up the Steam key for $31. Deal extends to Monster Hunter World Deluxe Edition as well which is available for $40. Why pay $39.59 on Steam Store when you can save another 72 cents for the same Steam key? (I know right!?). If you still haven't tried one of the most popular title in 2018, Monster Hunter: World is on sale during Black Friday and Cyber Monday frenzy. Despite the mixed reviews, this is still consistently one of the most popular title on PC. If you haven't picked up Monster Hunter World yet on Steam, Green Man Gaming dropped the price to 26% off for 24 hours. Cheapest ever for Capcom's best-selling game. Expiring soon! New historic low price on last month's extremely popular Monster Hunter World (still a top seller on Steam Store). The game is now only $45 in GMG's limited time 48 hour "Big in Japan" sale. The co-op, open-world multiplayer monster hunting game has well over 30,000 reviews - and while often mixed, is still high on the must-try list. The average price for this game in the past 6 months is $21.42. The game first became 50% off on Jul 3, 2018 at GameStop. Lowest historic price was $15 on Nov 22, 2018 at Target. The average price for this game in the past 6 months is $30.00. The game first became 50% off on Dec 31, 2018 at Microsoft. Lowest historic price was $30 on Feb 12, 2019 at Microsoft. The average price for this game in the past 6 months is $20.83. The game first became 50% off on Jul 3, 2018 at GameStop. Lowest historic price was $15 on Nov 22, 2018 at Target. Still available! Great price on used copies of Monster Hunter World at Gamefly for only $18 thanks to Gamefly's blowout used game sale. Plenty of latest 2018 releases are on sale for $18, $10, or $8. This would be our top pick in the sale. Xbox One copy also available and shipping is free. Monster Hunter: World is now unlocked and PS4 gamers can score the game for 10% off on the digital PSN copy. The same deal applies to the premium Deluxe Edition for a price of $53.99 on Standard and $62.99 on Deluxe. The average price for this game in the past 6 months is $29.99. The game first became 50% off on Dec 6, 2018 at PlayStation Store. Lowest historic price was $29.99 on Dec 6, 2018 at PlayStation Store.